This image will haunt me, they are owning those lunch lady colours and shoving them right back at you! 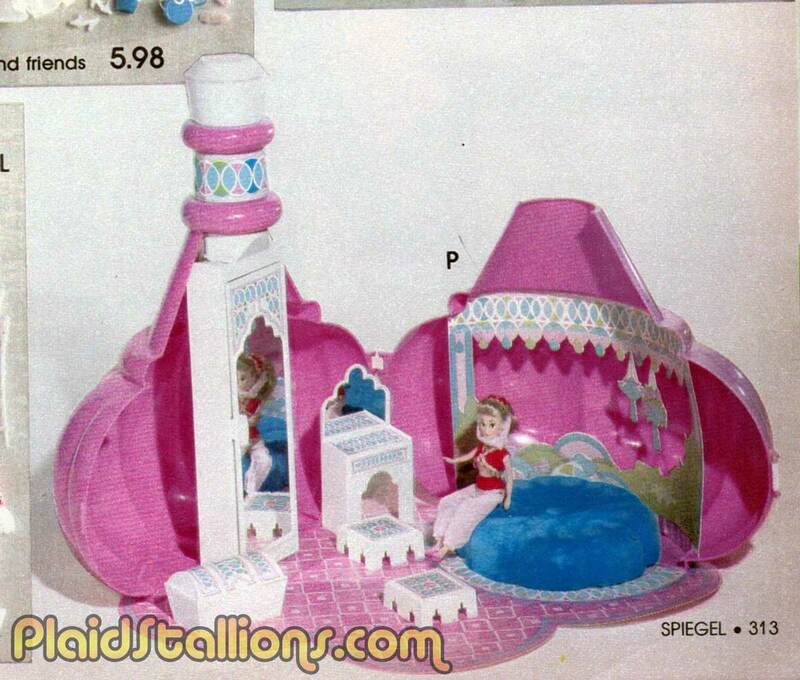 I think the most interesting thing about Remco's I Dream of Jeannie line isn't that it was probably a good idea, it was that it was released years after both the original and animated series were long gone from the air waves. 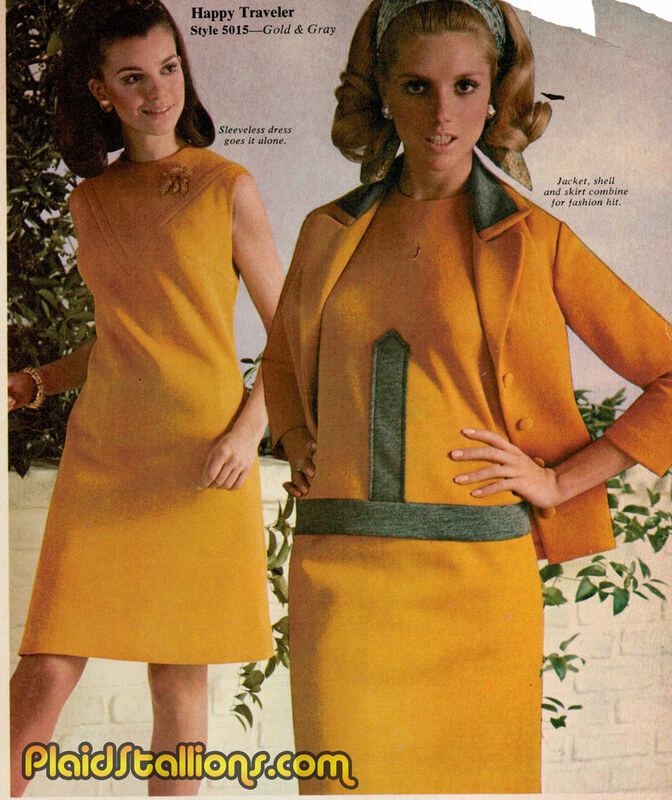 Jeannie's sales were largely due to the power of syndication just like Mego Star Trek and Our Gang, the real merchandising blitz happened after the show was off the air waves. 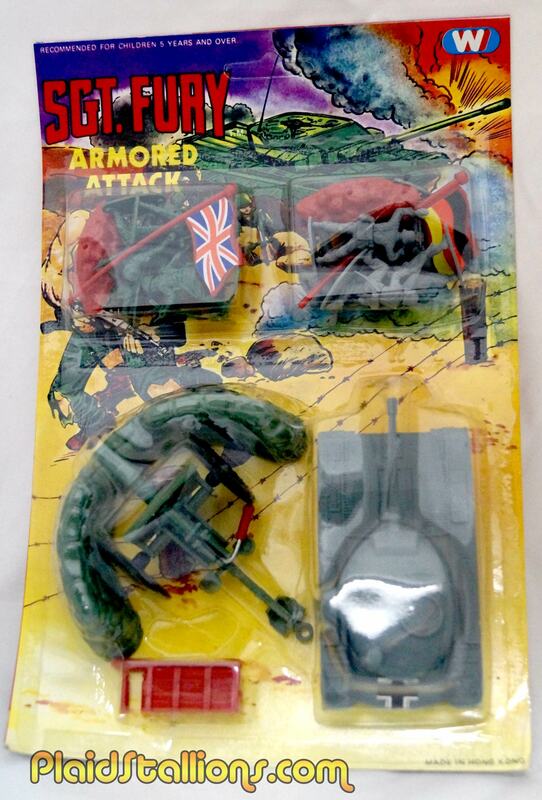 This is a neat little Rack Toy oddity I found last month, it's a variant on the Fleetwood SGT Fury armored attack set that was issued in the US. I have no idea who "W" is but I assume this is a foreign release, similar card but different toys, that is the joy of the Rack Toy. While I don't dabble in new toys much, I'd say that it would be irresponsible of me not to discuss this one. 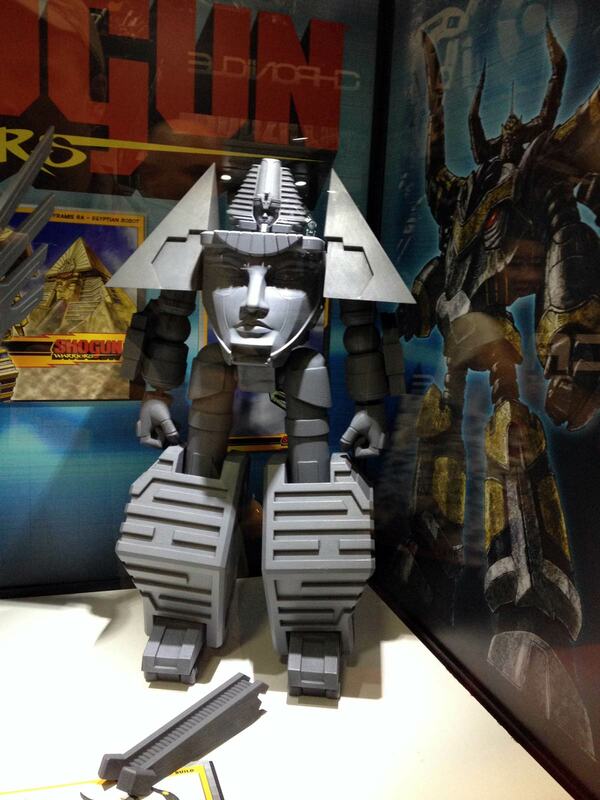 As I mentioned earlier in the week on the PS facebook page, Toynami has set up at this week's San Diego Comic Con (perhaps you've heard of it) with revamped versions of the Shogun Warriors particularly a more film accurate Godzilla. Thanks to my good pal Scott Adams of MegoMuseum fame, we can take a more indepth look at this wonderful display. 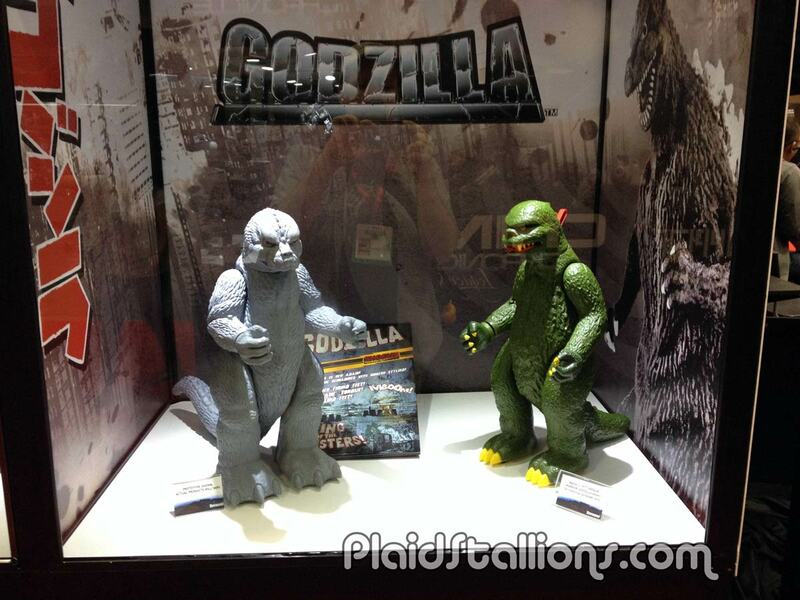 Apparently vintage Godzilla is just there for comparison, they are not remaking him. 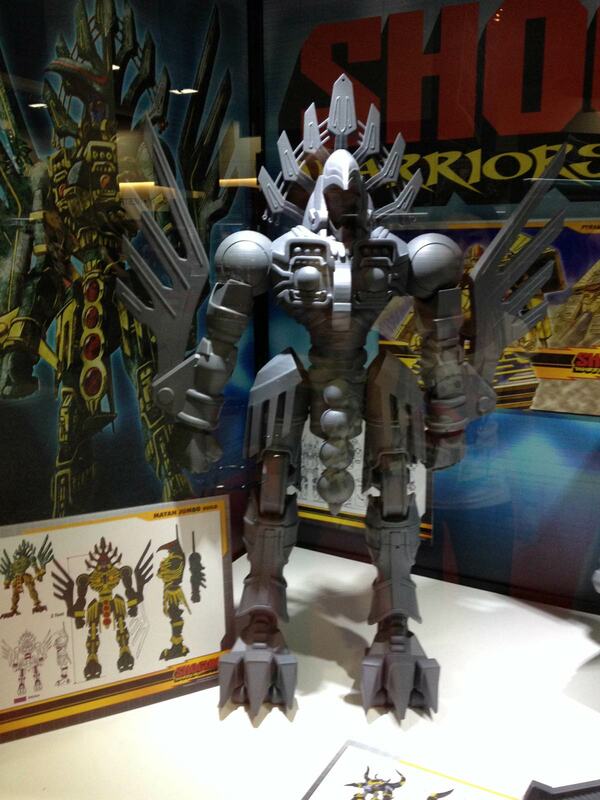 Not just Godzilla but Machinder Robots as well. I'm going to need a bigger sand box! 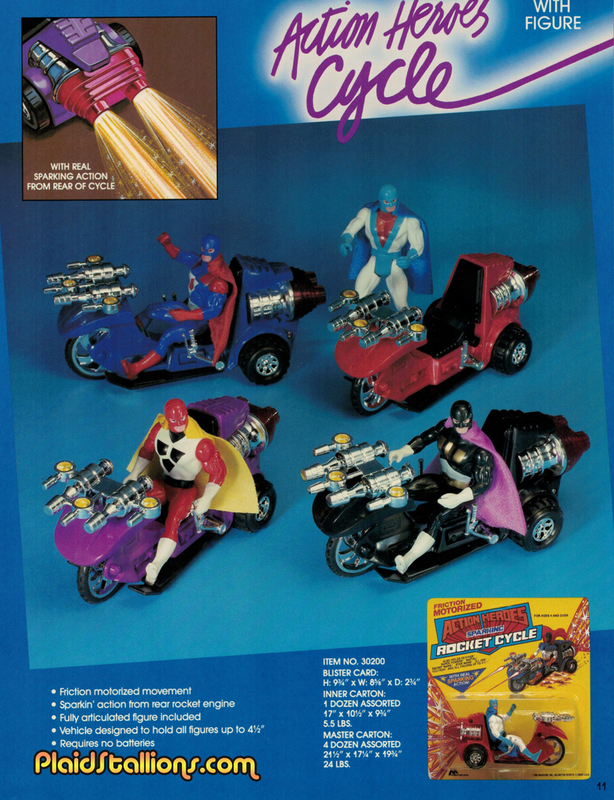 The Action Heroes by Marchon was a charming line of Superhero Knockoffs that were meant to fit in with popular 80s toy lines such as Super Powers or Secret Wars. 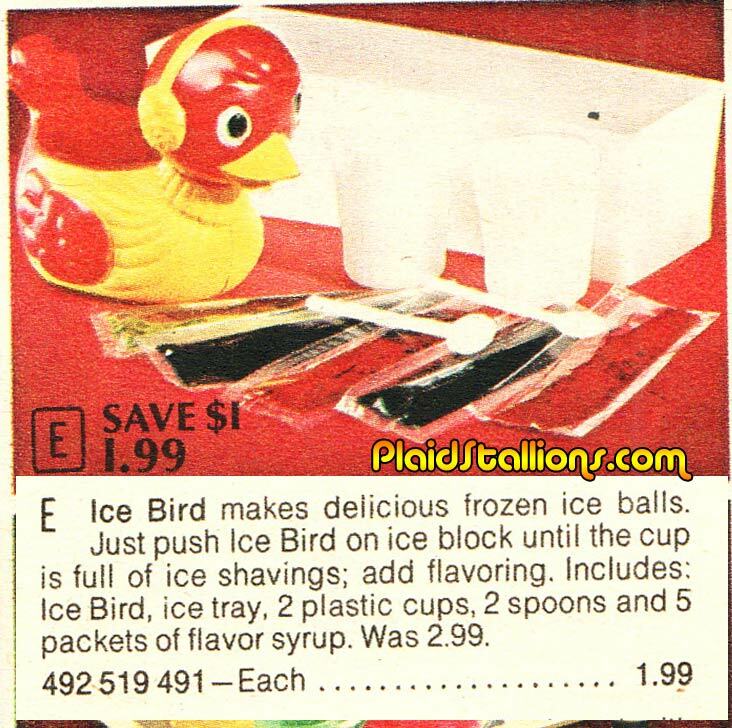 While a bit out of my age range, I remember them well and even bought a few to customize into other Super characters. 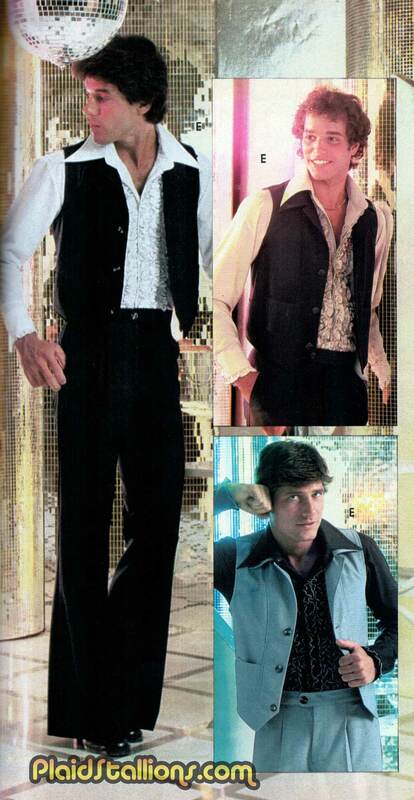 Finding weird bits of Micronauts merchandise in a catalog is to me, like finding buried treasure. Also note Pajamas featuring some guy called "The Hulk". 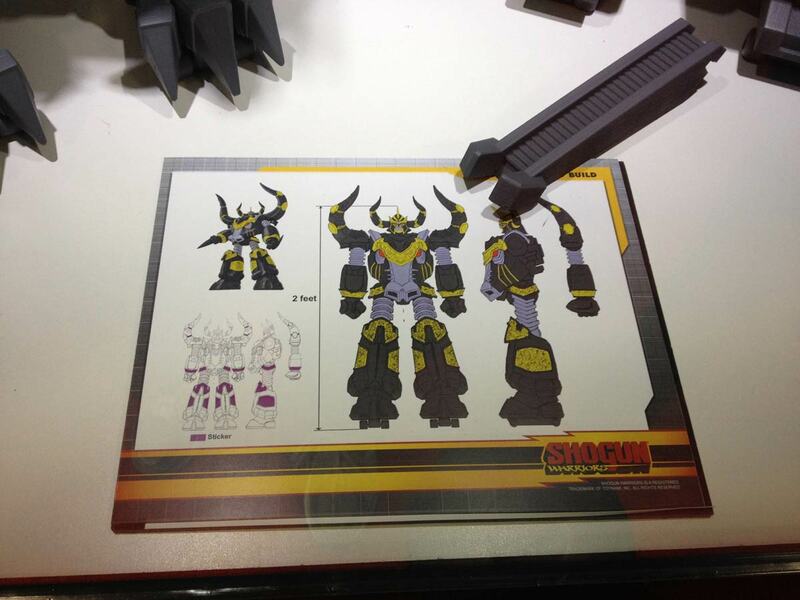 From the "Hell and Yes" department, my friends at Bif Bang Pow have announced that they are righting a toy wrong. Like a lot of people my age, I was permanently scarred by the fact that I could never find 3 3/4" Flash Gordon figures to play along side my Star Wars and Black Hole men. I have it on good authority that these figures will be awesome and while very much embracing the retro vibe, they will also resemble the cast. LOS ANGELES, CA (July 23, 2014) - After a four year hiatus, Bif Bang Pow! proudly announces a return to Mongo with a new license from King Features Syndicate to release a series of brand-new products and collectibles from the 1980 sci-fi cult-classic film Flash Gordon. "Bif Bang Pow! is well positioned in the character toys and collectibles market and we are delighted to have a new agreement with them," said Jarred Goro, North American Licensing Manager for King Features. "Flash Gordon and the other classic characters in his world are cultural icons. Bif Bang Pow! crafts quality merchandise with incredible attention to detail. The fans are going to love this new and expanded collection!" Bif Bang Pow! is thrilled to return to Mongo, working on new Flash Gordon action figures and collectibles to add to its ever-expanding lineup of iconic branded products. Bif Bang Pow! will debut the first-ever line of 3 3/4-inch movie action figures to include Flash Gordon, the dreaded Ming the Merciless, Princess Aura, Prince Barin, Dr. Zarkov, and other popular characters from the film. 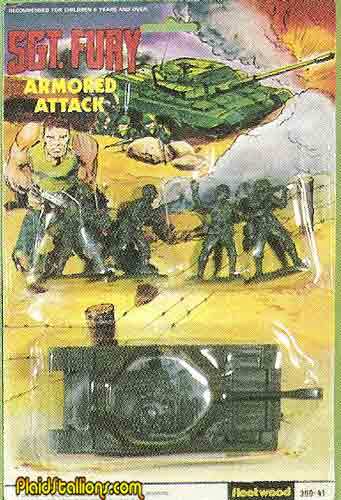 In addition to new "retro" scale action figures (and possibly even vehicles this go 'round! ),Bif Bang Pow! will add prop replicas, journals, tin lunch boxes, drink ware, license plate frames, and more to the Flash Gordon line of collectibles. Merchandise is scheduled to hit the marketplace throughout the term of the license. "We're excited to be working with King Features Syndicate once again," said Jason Lenzi, co-founder of Bif Bang Pow! "Fans have missed our Flash Gordon products, and have always wished we had taken things further than we were originally able to. 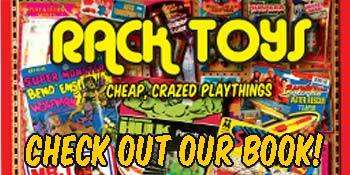 Now, with a renewed interest in that colorful cast of characters, thanks to projects like Ted and a brand-new Flash Gordon movie in the works, we believe now is the perfect time to introduce new collectibles to veteran and novice fans alike. It would seem that the rest of the world has finally caught up with us Flash Gordon true believers, and to paraphrase the words of the immortal Queen, 'the continuation is OURS for the making'!" Scheduled for initial release in early 2015, the entire Flash Gordon movie line will be exclusively distributed through EE Distribution (www.eedistribution.com), a division of Entertainment Earth, Inc., and sold direct to consumers at www.entertainmentearth.com and other fine specialty retailers. 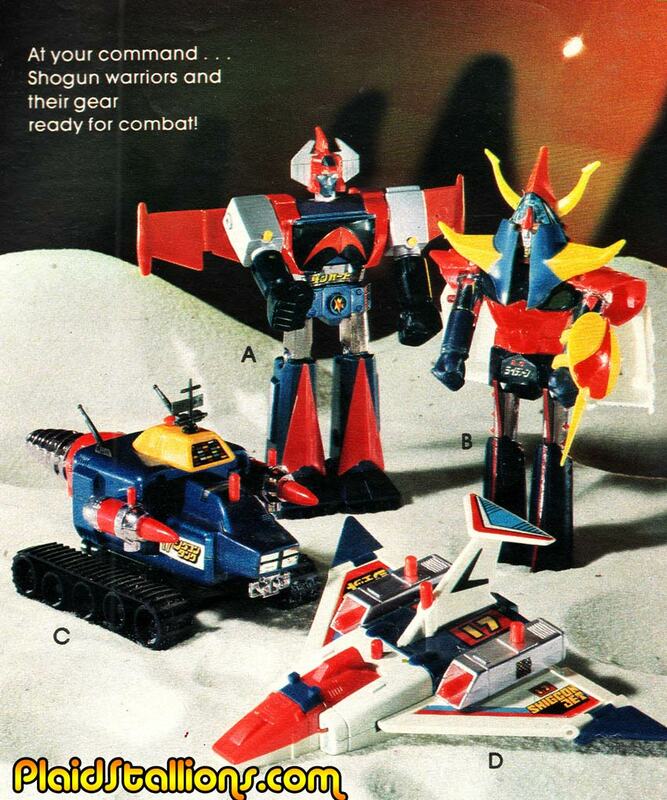 I was so smitten with the larger Shogun Warriors as a kid, that I completely ignored stuff like the Shigcon tank and jet pictured here. I honestly just learned their names tonight. These vehicles (like the majority of the Shogun Warriors line) were originally toys from a Japanese TV series, these two were from a series called "Daitetsujin 17" which saw VHS release here in the 1980s as "Brain 17". 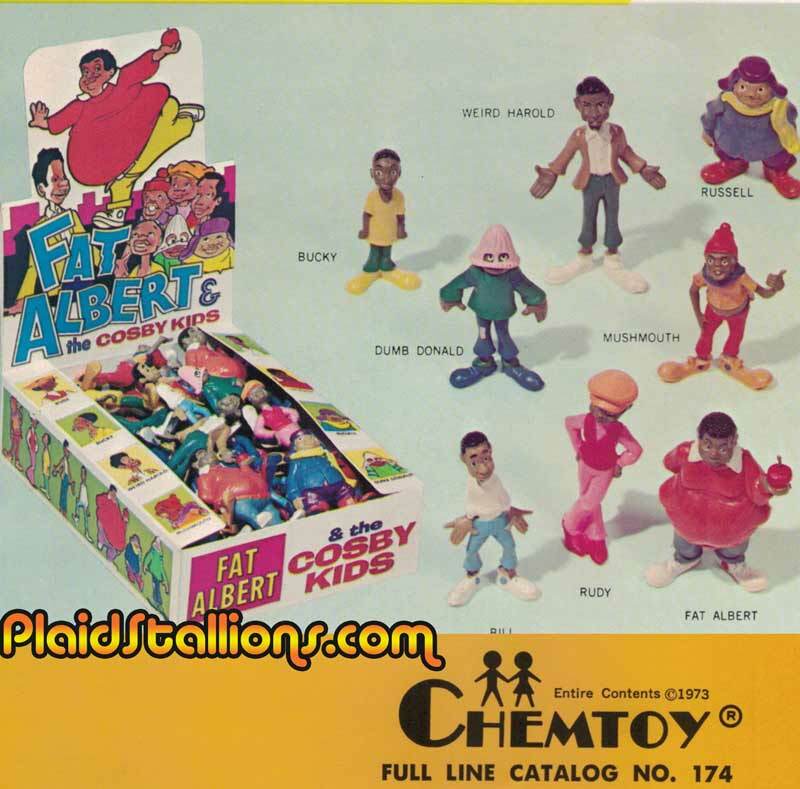 I never ran into these Chemtoy Fat Albert figures as a kid but if I had, they would have so been mine. I'm not sure why there isn't a Dumb Donald figure staring back at while I type this, what's wrong with me? It's always the fourth of July in the Henderson bedroom. 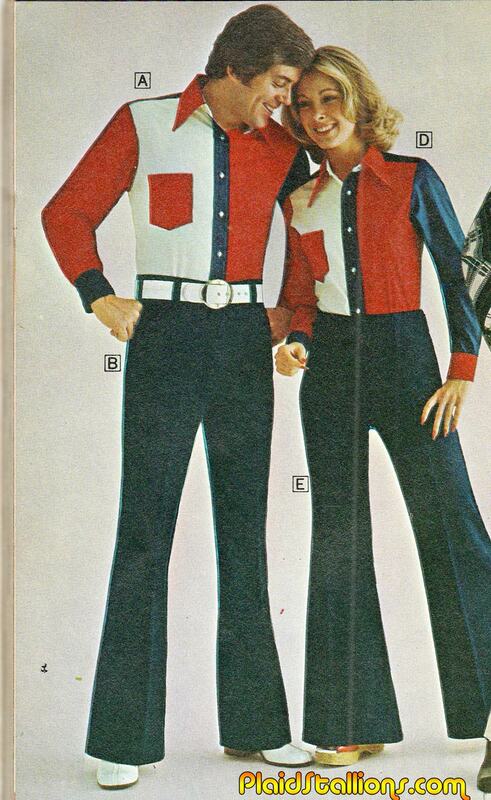 It's often forgetten that Fisher Price Adventure People lead the 3 3/4" charge of the 1970s. 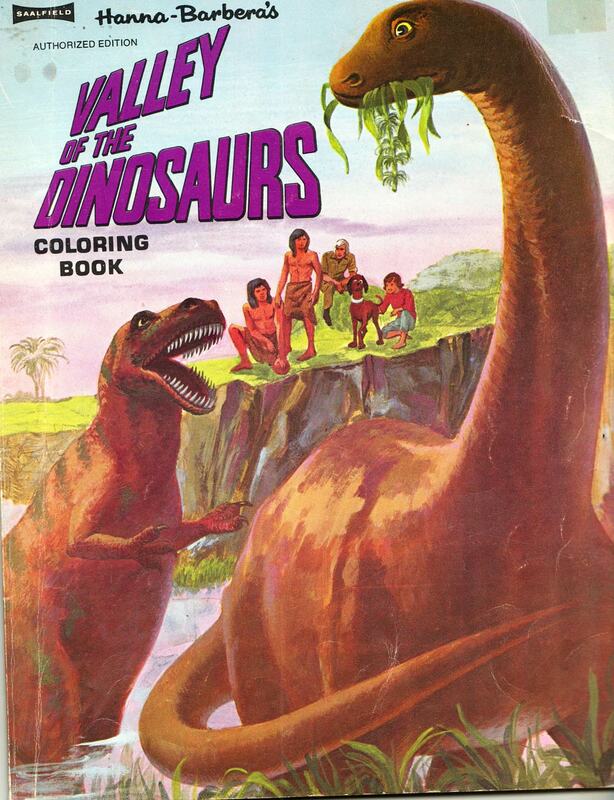 Their wonderful world was free of violence but just completely captivating. 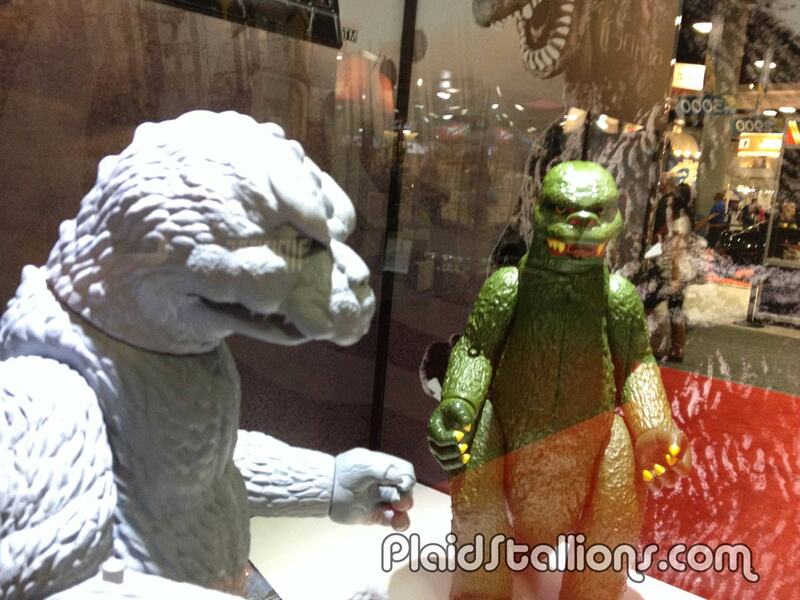 These were possible the oddest things I spied at last month's Mego Meet show. 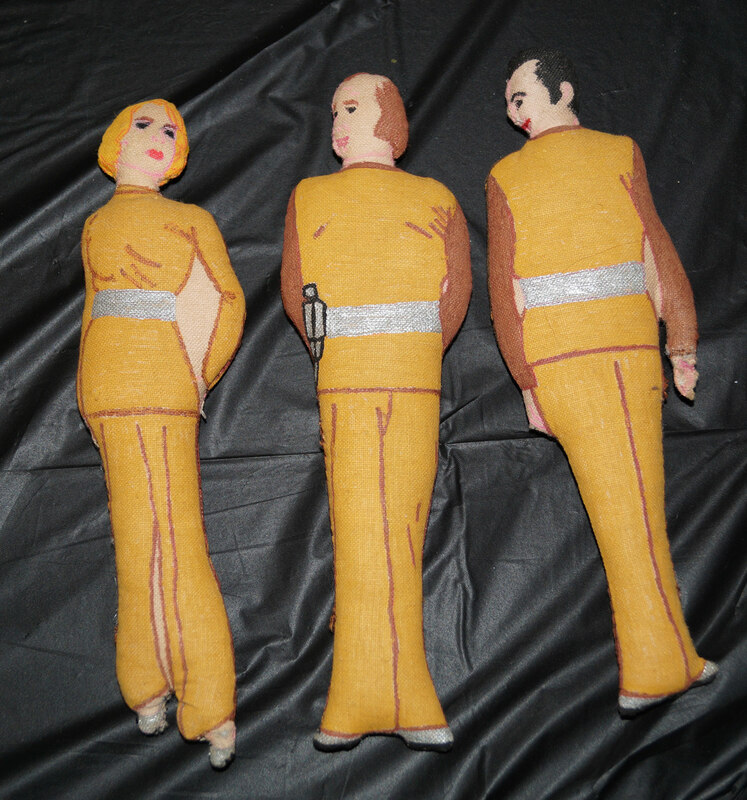 A set of home made Space:1999 plush figures, nerdy high school art project or a really well meaning Grandmother? We'll never know. Eyes up here Martin Landau! 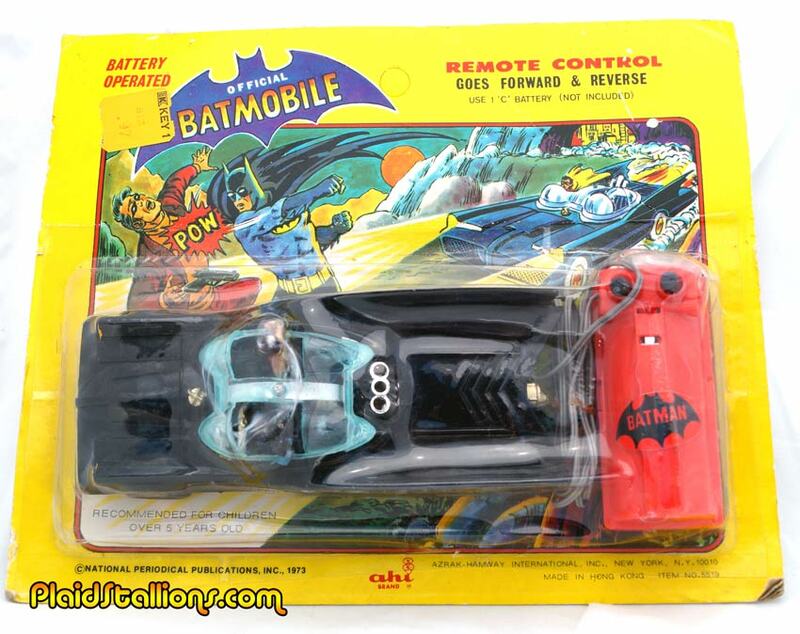 This is one of the earliest pieces of Bat merchandise that AHI ever made. One of the more interesting things about the company is you get to watch them go from creating original, crazy artwork for each toy to the less dynamic "style guide" approach of the early 1980s. All it would take is one brave soul to bring floral embroidery back to the mainstream, i ask you are you strong enough to accept the challenge? 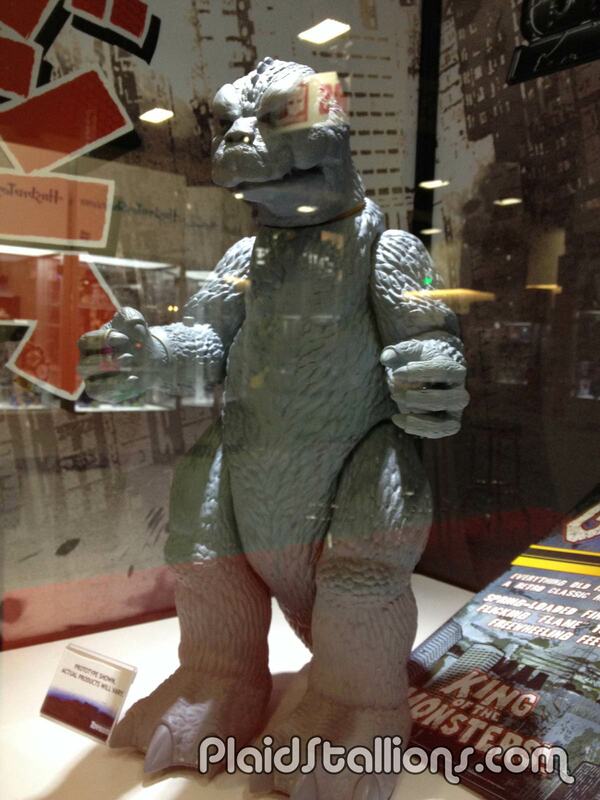 Episode 19 sees Jason and Brian explain their deep affection for toys from the land of the rising sun. Even though we both grew up in North America, our childhoods were made happier by the imports that did manage to hop across the Pacific leaving us with a thirst for more. 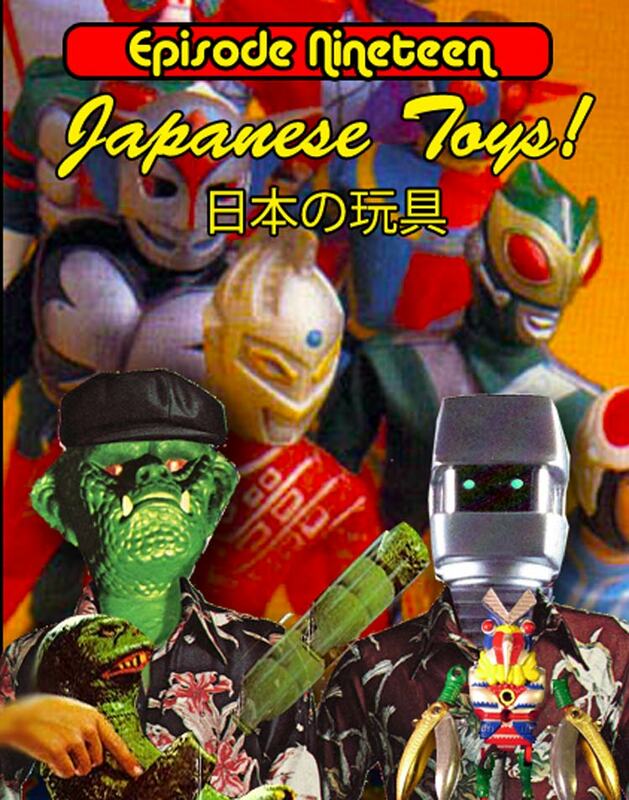 Japanese Toys tries to cover all the bases (but we're going need to do a part 2 sometime) including topics such as Shogun Warriors, Kamen Rider, Microman, Ultraman, Star Blazers, Mecha Kong, Japanese Spider-Man, Eidai Grip, Gerry Anderson, Jason's Tokyo mishaps and Brian's current addiction to Japanese auctions. Episode 19 will have you finding a proxy bidding service. PS don't buy us things. The Japanese Spider-Man figure by Popy we discussed. The very first episode of Kamen Rider V3 sees his whole family murdered by a villain called Scissors Jaguar. 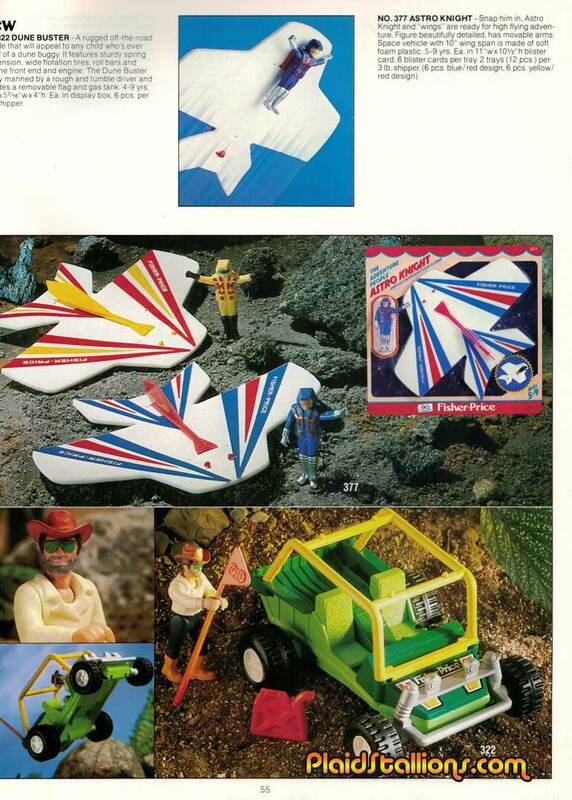 The Ark diecast ad we discuss on the show that features Jason's beloved Baltan toy. How Star Wars figures were sold in Japan. The Captain Scarlet model kits Jason mention. Denys Fisher Cyborg toys based on Henshin Cyborg. A website devoted to the Shinsei UFO Commander toys. The Kamen Rider Henshin suit that keeps Brian up at night. Drool over the amazing Jumbo Machinders!